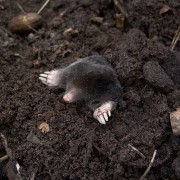 A rather late, ‘Happy New Year’ – late because I’ve been as busy as a workaholic mole (I think they work hard, all that digging!) to get my new book written. 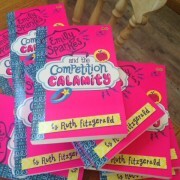 It’s now with my agent and I be working on revisions over the coming months. Finishing a book is a similar feeling to finishing your exams – you wake up the next morning wondering what to do with your brain. But that feeling doesn’t last long. 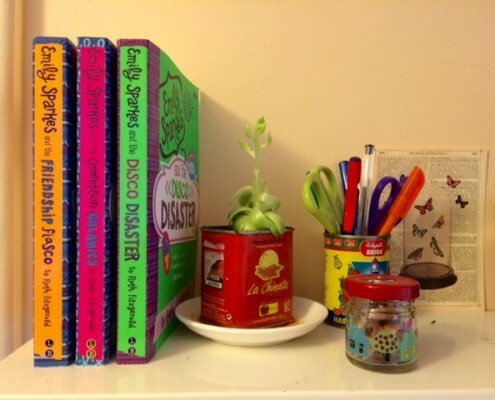 I’ve got an idea for a new story which I want to get on with – once I’ve caught up on all the things I haven’t done while I’ve been writing, like clearing out the airing cupboard and taking the dog to the groomers – you know, the glamorous stuff. Hope you’re all busy too – keep on moling! Get Involved in the Laugh Out Loud Awards! 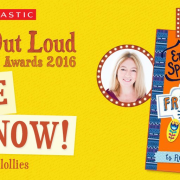 Really exciting news this week – ‘Emily Sparkes and the Friendship Fiasco’ has been shortlisted in the first ever ‘Laugh Out Loud Awards’ (nicknamed the ‘Lollies’)! 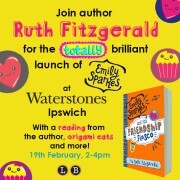 So get reading and get laughing! If you vote for mine I’ll give you a front row seat when I build my first Inter-stellar Galaxy Travellator. Sorry for the long absence. We’ve had lots of technical difficulties with the site and with some horrible viruses, which we didn’t want to pass on, so we decided to take it down for a while. Luckily, I have some super people at my publishers who know exactly what to do when this sort of thing happens, so now we are all systems go again! Well, almost all systems… we are still having a few problems with the contact form but these should be fixed shortly, so if you don’t hear back from me straight away please be patient. 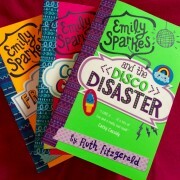 Still, I couldn’t wait any longer to tell you that my new book, ‘Emily Sparkes and the Disco Disaster’ is out now. 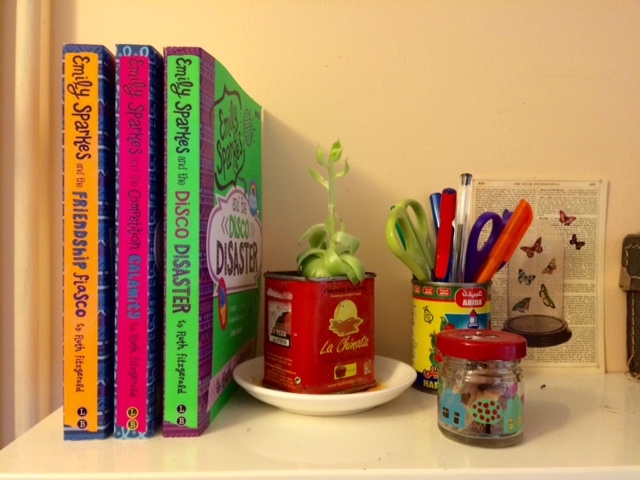 It’s a lovely bright green so you’ll be able to spot it on the bookshelves from halfway across the room! I love how they all look side by side on my shelves. 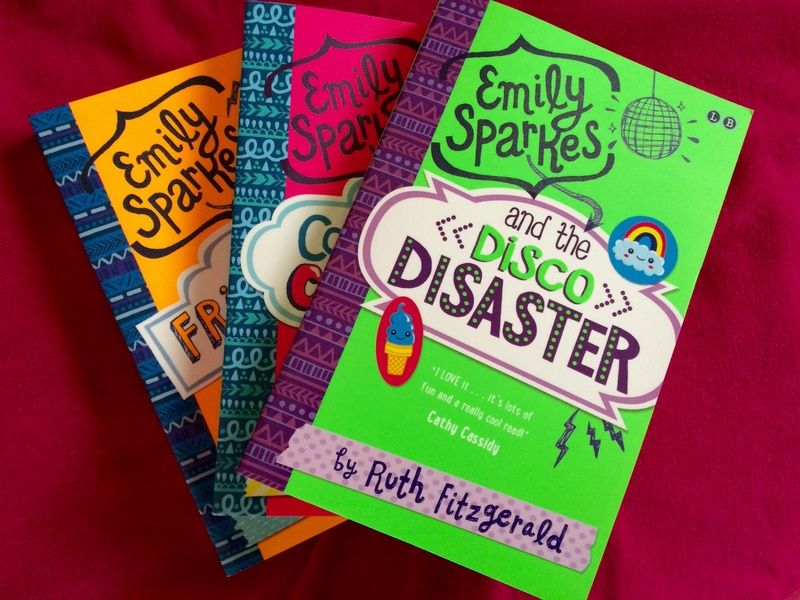 In the new book Emily’s dad causes her some ultra-embarrassment (as dads often do), and there’s also a role for Lord Alan Sugar, or should I say, Mrs Lovetofts! I hope you enjoy it. 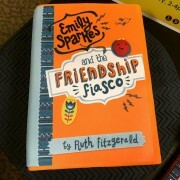 A lovely person reviewed it on Amazon and said it was their favourite so far, that made me very happy! Now that we’re all up and running again I will be posting much more often so check back in a few days and see what’s new.